The online gambling market in New Jersey is becoming a lucrative industry. Just how big has New Jersey’s online gambling market become? In fact, New Jersey’s regulated online gambling market has made $245 million in revenue in 2017. That is almost a quarter of a billion for 2017 alone. And to make things even more interesting, its market’s revenue has added almost a quarter from 2016 to 2017. The figures were released Friday by the New Jersey Division of Gaming Enforcement. State licensed gambling sites made $20.75 million in December alone. It is also worth noting that it was the tenth month that the New Jersey online gambling industry was able to exceed $20 million mark. In contrast to December 2016’s figures, December 2017 was up by nearly 13%. However, this wasn’t even the best month of New Jersey’s online gambling industry. Last March 2017, New Jersey was able to make $21.7 million dollars. If you will look at the total performance of the New Jersey online gambling industry, it jumped by 24.9% to $245.6 million in a matter of 12 months. Casinos proved to be the primary source of revenue as it generated $221.35 million while poker declined by 8.5% but was still able to deliver $24.25million. It was Golden Nugget’s casino-only sites that have ranked the highest in December’s revenue report with $6.1 million. The Nugget has been able to occupy the top spot during 2017 but the casino isn’t exactly done yet. In fact, it was announced that they are going to have another unique selling point to its online gamblers. What made The Nugget popular is the fact that the site was the first New Jersey-licensed website that has featured live casino dealers. It was announced this week that they are even expanding the live casino options. It was previously limited to playing baccarat, roulette, and blackjack. Now, players are going to have the option to pay Casino Hold’em which is a poker variant that lets players go against the dealer rather than just compete against each other. Borgata sites including PartyPoker are also worth mentioning. PartyPoker was able to earn $4.3 million in December. It was up $600,000 from last year’s numbers. 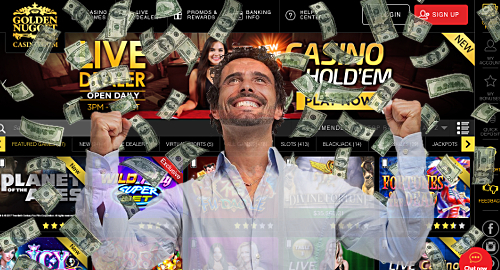 Next, it was Caesars Interactive Entertainment New Jersey that ranked third and generated $3.8 million. Tropicana’s casino-only website has been able to earn $3.36 million while Resorts Digital, that includes PokerStars, was able to contribute $3.2 million. Should DOJ Get Involved in New Jersey’s Online Casinos? In 2011, laws were made in order to allow intrastate online gambling. However, there were regulators that have been asking DOJ to roll back the 2011 legal opinion that made the online casino industry what it is today. New Jersey representatives sent their own letter last November that urged DOJ to stop intrastate online gambling. In fact, Attorney General Jeff Sessions even suggested in favor of an online gambling ban but still failed to control the industry. Will online gambling continue to rise for 2018 or the regulators will finally step in to limit the industry’s growth? So far, it seems that New Jersey’s online gambling market has continuously soared over the last few years especially after the legal changes in 2011. Next articleHalf of England Football Players Betting on Football Games?